Give the gift of Blowsion! 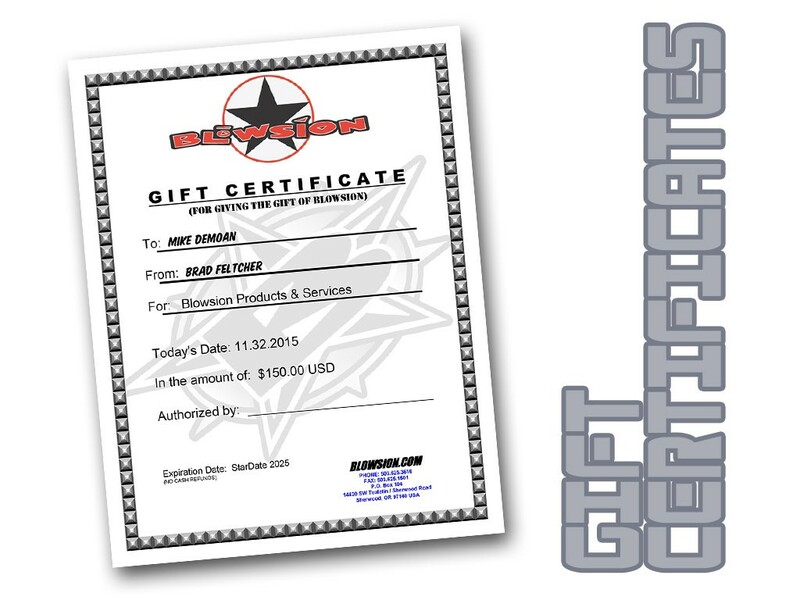 Use for gifting Blowsion parts and services. Specify the dollar amount of your gift in the order space listed in the dropdown menu below. Give the gift of Blowsion! Use for gifting Blowsion parts and services. Specify the dollar amount of your gift in the space below. Choose from the free email delivery option, or US Priority Mail delivery which includes 2 free 8 inch Blowsion Stickers and Catalog. Make a water shredding friend or family memeber happy and give em' Blowsion Bucks to spend! 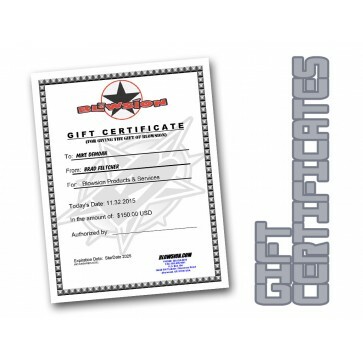 PLEASE NOTE: when choosing the email delivery option of the Blowsion gift certificate, we manually will follow up from your online order with a second email that includes the custom made PDF gift certificate. This is not an automated function, so if you are ordering after hours, on weekends or over holidays when Blowsion is closed we will not be able to process and email you until we are fully staffed during normal week day work hours (9-5 weekdays- closed weekends and holidays). Please select the free shipping option upon checkout.